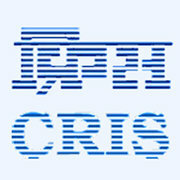 CRIS Recruitment 2019 - Job notification for Assistant Manager (Purchase) Posts in CRIS, New Delhi on Deputation Basis. Applications are invited by Centre for Railway Information Systems within 30 days from the date of issue for 3 vacancies. Serving Railway employee working as Assistant Material Manager (AMM) in Stores Department. The officer will draw pay which would have been admissible to him/her from time to time on Railways plus deputation (duty) allowance. The employee/officer should have working experience in Tendering and Post contract work etc. of Stores Contracts and should be conversant with functioning in computerized environment. Eligible candidates may send their application in prescribed format to Centre For Railway Information Systems, Chanakyapuri, New Delhi-110021 within 30 days from the date of issue, along with D&AR/Vigilance clearance and APARs/ACRs for the last three years. CRIS Recruitment 2019 - Job notification for Chief Manager / Manager (HRMS) Posts in CRIS, New Delhi on Deputation Basis. Applications are invited by Centre for Railway Information Systems on or before within 30 days for 2 vacancies. CRIS Recruitment 2019 - Job notification for Project Officer Post on a project entitled "TMS & CIVIL" in CRIS, New Delhi on Deputation Basis. Applications are invited by Centre for Railway Information Systems within 21 days from the date of issue for 1 vacancy. CRIS Recruitment 2019 - Job notification for Assistant Manager Posts (CEP, TMS) in CRIS, New Delhi on Deputation Basis. Applications are invited by Centre for Railway Information Systems within 30 days from the date of issue for 1 vacancy. CRIS Recruitment 2019 - Job notification for Assistant Manager Post (CEP, P-Way Bridge) in CRIS, New Delhi on Deputation Basis. Applications are invited by Centre for Railway Information Systems within 30 days from the date of issue for 1 vacancy. CRIS Recruitment 2019 - Job notification for Assistant Manager Post (CEP, P-Way TMS) in CRIS, New Delhi on Deputation Basis. Applications are invited by Centre for Railway Information Systems within 30 days from the date of issue for 1 vacancy.